January 21, 1965 marked the second of four appearances Lesley Gore would make on The Ed Sullivan Show between 1963 and 1970. This is arguably the best. Singing live, she adds a sultry touch to her phrasing on “Look of Love,” a classic entry (written by Ellie Greenwich and Jeff Barry, and produced by Quincy Jones) in the rock ‘n’ roll subgenre of happy sounding songs about lost love—to be precise, not only about losing love but seeing your old flame on the town with his new gal and looking quite content. The Tremeloes offered a distaff version of this theme on their 1967 Cat Stevens-penned classic, “Here Comes My Baby,” but otherwise the sub-genre remains rather fallow. On The Ed Sullivan Show Lesley returns from her knockout performance of “Look of Love” with a version of Rodgers and Hammerstein’s “Hello Young Lovers,” a tune the great duo wrote for their 1951 Broadway hit, The King and I. In the original stage version the song was performed by Gertrude Lawrence; in the 1956 film version it seems to be sung by Deborah Kerr but her singing voice is being supplied by Marni Nixon, whose dubbed singing voice stood in for not only that of Ms. Kerr but also for Marilyn Monroe (that’s her singing “Diamonds Are a Girl’s Best Friend” in Gentlemen Prefer Blondes), Ida Lupino, Margaret O’Brian, Natalie Wood (Marni is the real singing Maria in West Side Story), Audrey Hepburn (in My Fair Lady) and on and on. 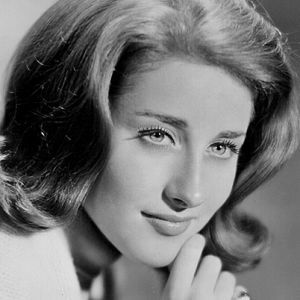 Back to Lesley Gore, her swinging version here is modeled after a similar approach Bobby Darin was using in his live act at the time (a 1963 set is captured on the CD Live from Las Vegas).